This is an exciting month for me... as I am finally going to Charleston for a sister weekend with Becky! I can't imagine a more perfect place to go in April, in the midst of Spring. 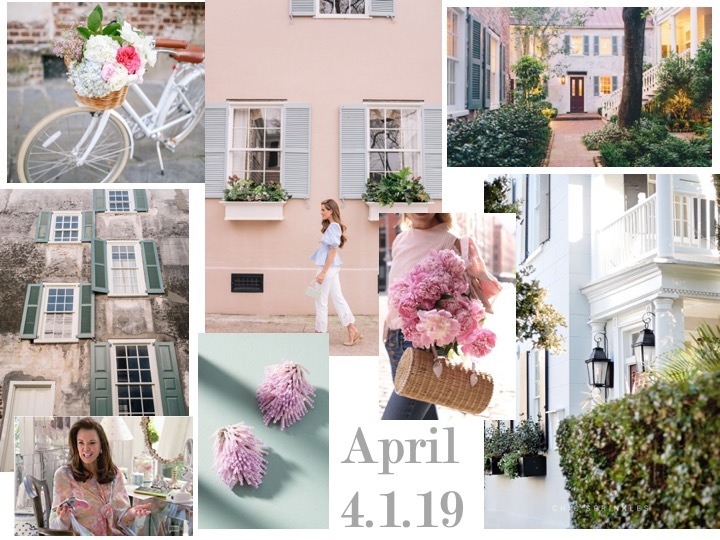 I have been wanting to visit Charleston for quite some time now, just never could find a good time to go in between the multitude of recent weddings, girls trips and bachelorettes, I've spent so much of my travel time and money on the last couple of years. I was invited to a bachelorette in Charleston one summer but couldn't attend because I had already committed to yet another wedding. Regardless, I am treating this trip as my alternative to a bachelorette party and I am very excited for my first trip to the south -Austin doesn't count, right? 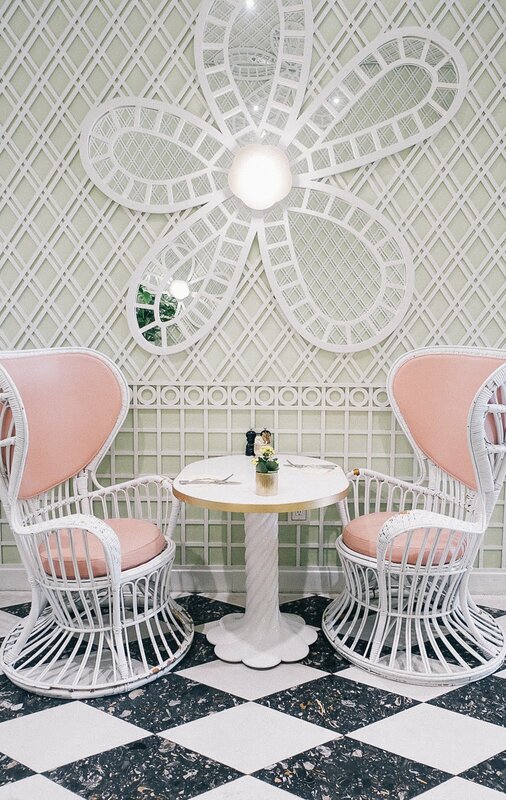 Finding inspiration for a trip to Charleston is perhaps the simplest task, particularly for a blogger. The pastel architecture, cobble streets, quite literal Southern Charm we see on many more platforms beyond just Bravo, has me almost anxious about accurately capturing the true enchantment of this small and quaint city. My main sources for Charleston's beauty come from gorgeous content Julia Engel, Lucy Cuneo and Jillian Attaway create. Let's also not forget the most glamorous city website I have ever seen which says it all. Hope everyone else is just as excited for this month, enjoy.